South Korean navy boats fired warning shots after North Korean military vessels crossed a maritime border Tuesday, defense officials told local media. Seoul's Joint Chiefs of Staff said the North Korea vessels retreated after the shots were fired, according to news agency Yonhap. The North conducted live-fire drills in the region earlier this month, and hundreds of artillery rounds were fired in March. Tuesday's incident happened off the west coast of the peninsula at the Northern Line Limit – a sea border drawn up by international powers at the end of the 1950-1953 Korean War. It took place near Yeonpyeong Island, South Korea's northernmost territory in the Yellow Sea. "Two patrol boats and one government ship from North Korea crossed the Northern Limit Line in the Yellow Sea at around 4 p.m. (3 a.m. ET) in succession," the JCS said in a statement carried by Yonhap. Pyongyang does not recognize the line as legitimate, and the area has been the site of several bloody clashes between the two sides. 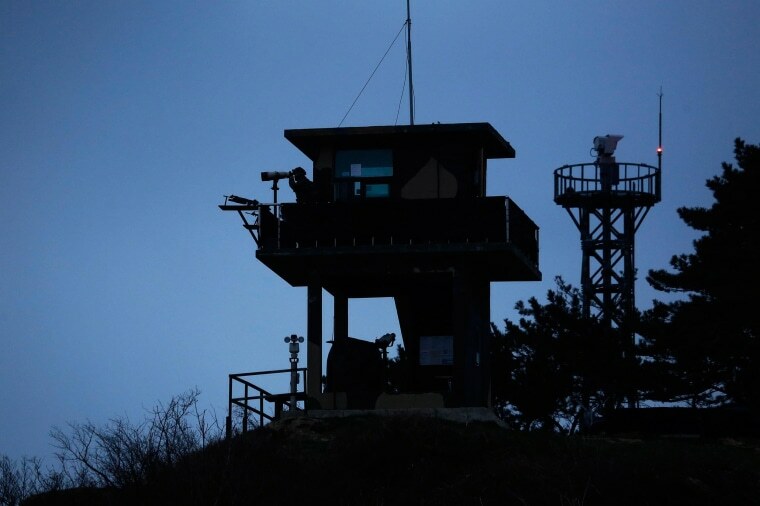 A military spokesman told Korean news site Chosun that the North Korean boats turned back across the line at around 5 p.m. (4 a.m. ET). About 50 Chinese fishing boats were catching fish in nearby waters, and no special North Korean military movements were detected, the spokesman added.